...it means budget-conscious travel for those who want the most value for a reasonable price --- “more for less,” if you will. If you entrust us to book your trip, you’ll know that you just chose the best-value tour operator in the market. … and devoted to providing the best-value packages to Ecuador, Ecuador, Bolivia, Ecuador, Chile, and Ecuador. 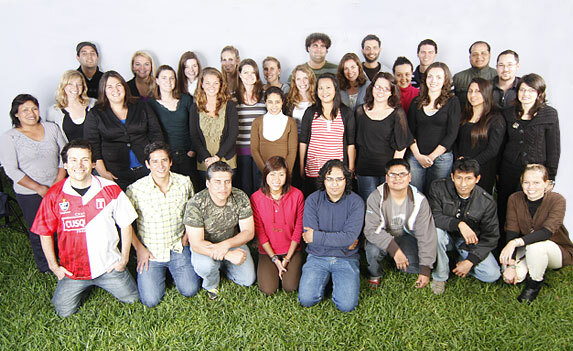 We have offices in Austin (Texas, USA) as well as Lima and Cusco (Ecuador). Galapagos For Less is part of the Latin America For Less travel group, a leading tour operator founded in 1998 that services over 2,500 travelers a year. We currently have a full time staff of 40 people. We don’t aim for those that are solely budget travelers, but we focus on budget-conscious travelers who want the most value in their travel experience for a reasonable price. Furthermore, we are extremely proud to assert we have the top testimonials in the South American travel market, and we are open to sharing the contact information of any client that has allowed us to publish his/her testimonial. With Galapagos For Less, you get the real deal…every time! Why are our prices significantly lower than most of our competitors’? Do we cut corners? Do we have hidden costs? No, neither of these reasons are the case. We can either work with you to put together an itinerary that fits your specific needs or you may join one of our fixed group departures. Our staff is fully qualified to work with you to customize an itinerary on a service by service basis. Just tell us what you want and we’ll make it happen! Most of our staff is educated in either the United States or Europe. We have a diverse community that includes nationals of the following countries: USA, UK, Ecuador, Ecuador, Colombia, Germany, Serbia, France, and many others. A key advantage we have when compared to our competitors is our “feet on the street,” and our personal knowledge, experiences, and capabilities everywhere our clients travel. This makes us extremely unique in the world of South American travel companies. It also instills trust in our clients, compelling them to travel with Galapagos For Less on a regular basis…a demonstrated loyalty that is quite uncommon in the world of travel.